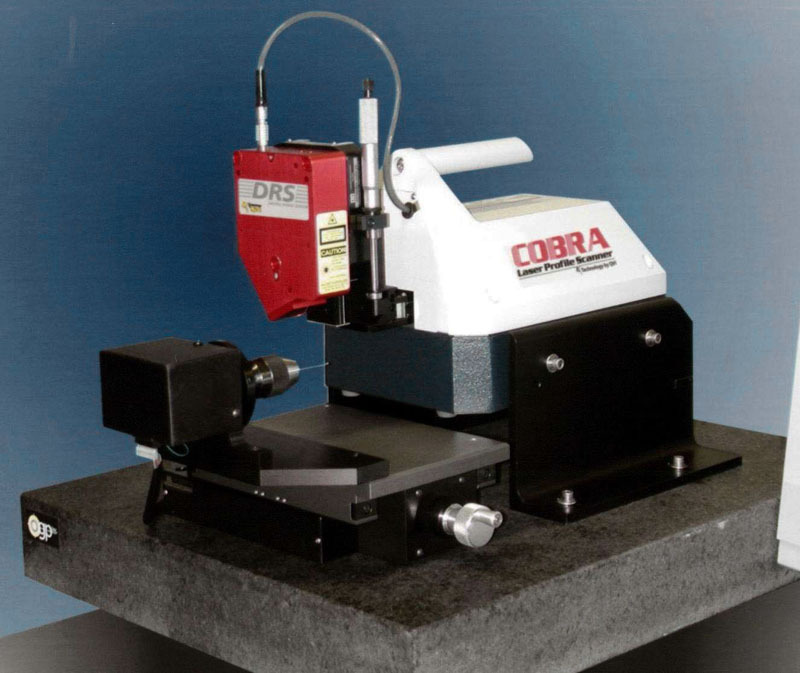 Cobra 2D Laser Profile Scanner - CMM Inc.
With the Cobra™ 2D, you can easily view and analyze scans for the dimensional information you need. Computer-controlled translation of the DRS across a surface generates a profile in the Scan-X® analysis software. The portable Cobra can be set on a large part, or placed on a bench where small parts are placed beneath the DRS. Lastly, setup is simple: all you need to do is adjust a micrometer to move the DRS into its capture range, which is clearly shown as a green bar in Scan-X. Furthermore, the optional video camera makes setup even easier and provides live color imaging of the scanning process.